I do feel better. After 9 days of Whole30 I notice a little difference. I can feel it in my joints and I haven’t had any migraines. There really is something to eating healthy! 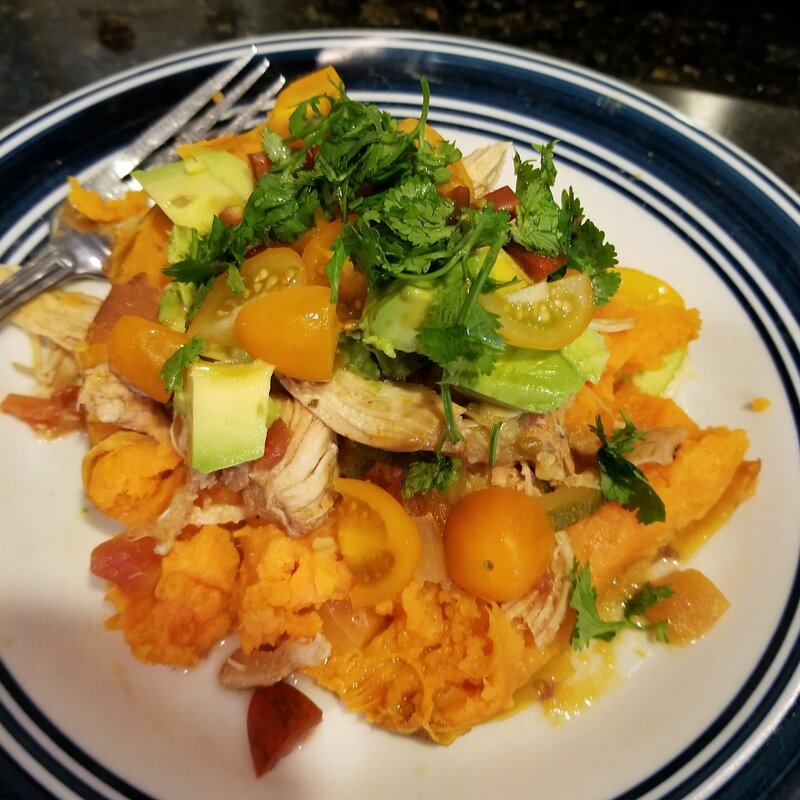 For lunch today I had crockpot chicken over a sweet potato. It was super tasty but I expected it to be spicier. I will for sure make it again and add more hot peppers for spice. I also purchased the Primal Mayo to finish off my dill chicken salad recipe from the other day. (I really don’t think it is worth it to make my own mayo!) Primal will definitely be an acquired taste but it is also not something I expect to use often (especially at $9 a jar!). I noticed the amount I am eating has decreased quite a bit. Before Whole30 I would have downed this salad and probably still had something else. I ate only half before I was full. I use to wake up hungry, now I don’t. I don’t think the past couple days I have felt hungry at all. I kind of like that! Tomorrow for breakfast I am going to try a sweet potato latke… kind of excited to try something new again! 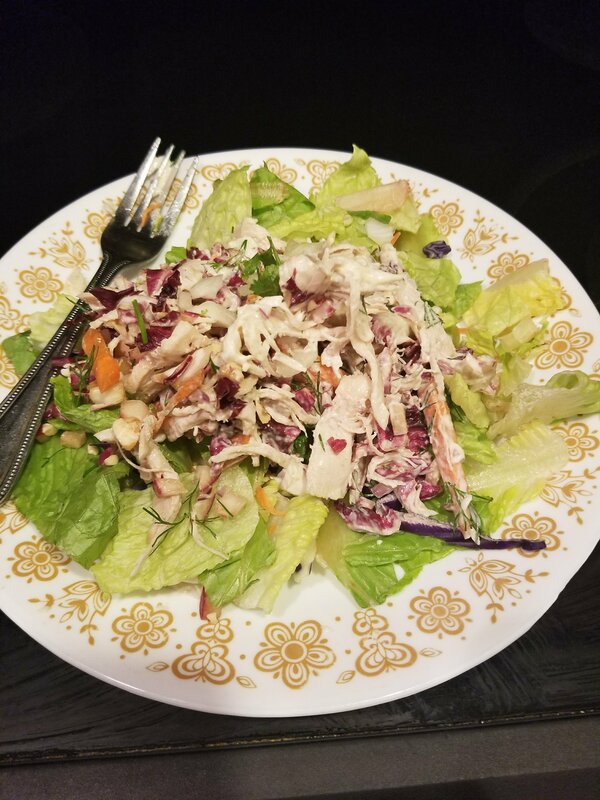 Author laurasznnPosted on September 11, 2017 Categories Culinary Bucket List, Health, Primal Mayo, Whole30Leave a comment on I notice a change.